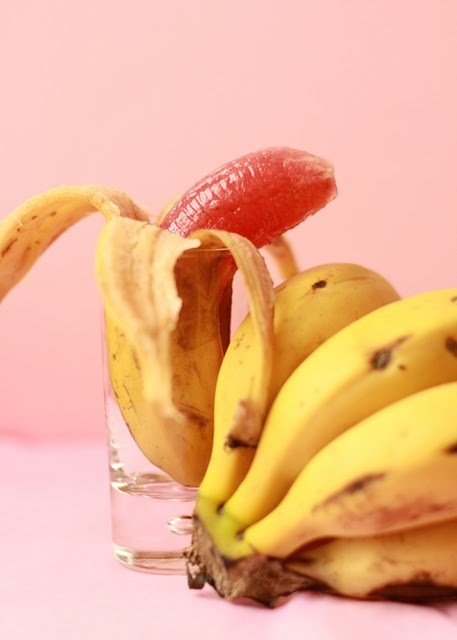 Why eat a banana when you can eat fruit jellies out of a banana peel? Talk about a natural jelly mold! While strawberry banana is a classic combination, check out the translated version of the recipe and experiment with a few other fruit flavors.